1. Hidden Fire Button & Magnetic Back Cover: The newly introduced hidden fire button is a bright spot of the intelligent device. And the magnetic back cover makes you replace the 18650 cell much easier. 3. Have Dual Circuit Protection Systems. 4. Have Reverse Polarity Protection. 5. 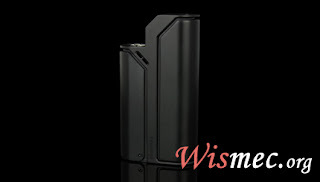 Being powerful with the high output of 75W, the optional VW, Bypass, TC-Ni, TC-Ti, TC-SS and TCR mode will provide you with different vaping experiences. 6. You can upgrade the device through the micro USB port. And the upgradeable firmware enables the device always up to date. Is there any reason not to buy it here? if you are finding it, purchase it as soon as possible. you can have a good vaping expirence!